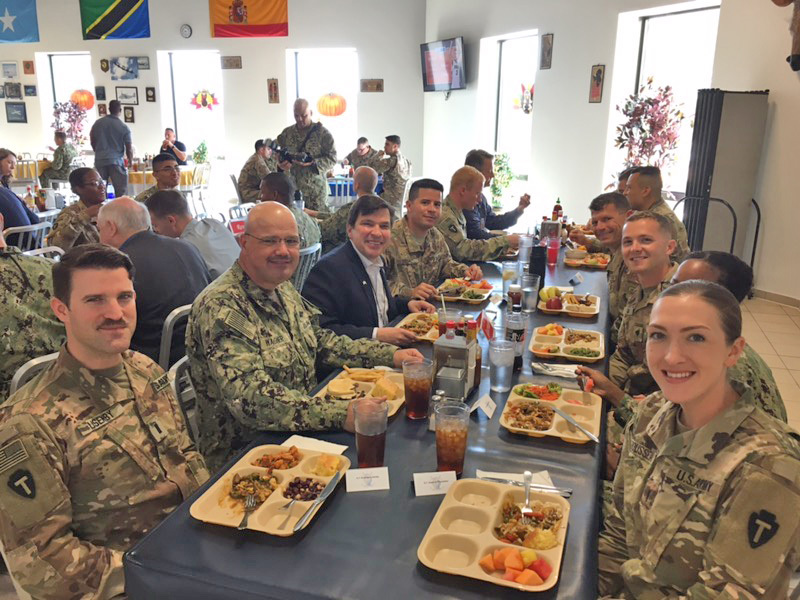 For the second consecutive year, U.S. Rep. Vicente González, D-McAllen, spent Thanksgiving overseas with the troops. Gonzalez met with the men and women of the U.S. Armed Forces stationed at bases in Kuwait in the Middle East and another in Djibouti in Africa, according to a news release. In 2017, Gonzalez visited troops stationed in Afghanistan, the release states. He said he would continue to work on legislation for the military, veterans and their families. Gonzalez, who met with service members from the Rio Grande Valley as part of the visit, was just one in a group of a bipartisan congressional delegation that visited troops at the overseas bases. Also visiting along with Gonzalez were Reps. Trent Kelly of Mississippi, Ron Estes of Kansas, Roger Marshall of Kansas, and Resident Commissioner Jennifer González-Colón of Puerto Rico, according to the release. “These brave troops keep our country safe, and for that I am forever grateful,” he said.